Nostalgia, that wistful longing for most likely misremembered past, is a dangerous thing. Daydream reveries of wide open futures being anything the dreamer spins can be dangerous as well. For we live, you see, in the tyranny of the real. A solid world filled with all the harsh, jagged unpleasantness solidity displays. Lacking both the ephemeral splendor of nostalgia’s past and the wispy allure of daydream’s future, ours is not a perfect life. A killer application is a computer program that proves so desirable or necessary, it alone justifies purchasing the, usually expensive, hardware required to run it. EVE Online has its corollary: The Jesus Feature. A new gaming feature so mind-bogglingly revolutionary it alone justifies purchasing a subscription. Jesus features aren’t mere iteration, much like the Son of God, they’re products of virgin birth, unsullied by origination within the world they’re destined to rule. Incarna’s ‘World of Darkness’-inspired walking in stations was to be a Jesus feature. Dust514’s cross platform linking of the frenetic first person shooter community with EVE’s stately MMO community was to be a Jesus feature. Unlike the Gospels’ resurrected Christ however, when EVE’s Mary Magdalenes peaked inside the tomb of deceased Jesuses, they found their corpses still present and very much dead. And this is as it should be. The Christian Bible, a divine document written over several thousand years, records only one virgin birth. Meanwhile EVE, barely 13 and already the world’s largest living work of science fiction, has nevertheless stretched out several times in hope of grasping multiple Jesuses. 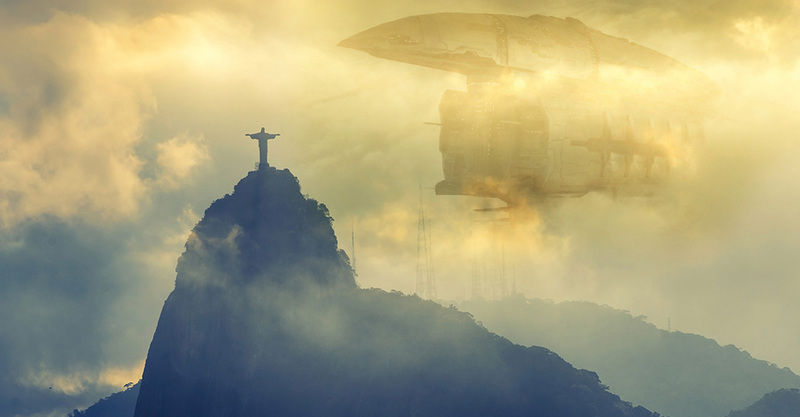 Science fiction hubris? Possibly so. when EVE’s Mary Magdalenes peaked inside the tomb of deceased Jesuses, they found their corpses still present and very much dead. Crowd Control Productions (CCP), being a limited liability partnership, takes a different view of business. When you’re not the Son of God, harsh, jagged, unpleasant business realities like available funds, net income, technical limitations and a vast number of customer and owner expectations already in play tend to color one’s aims. And this is as it should be. Too much Jesus dampens the ledger. 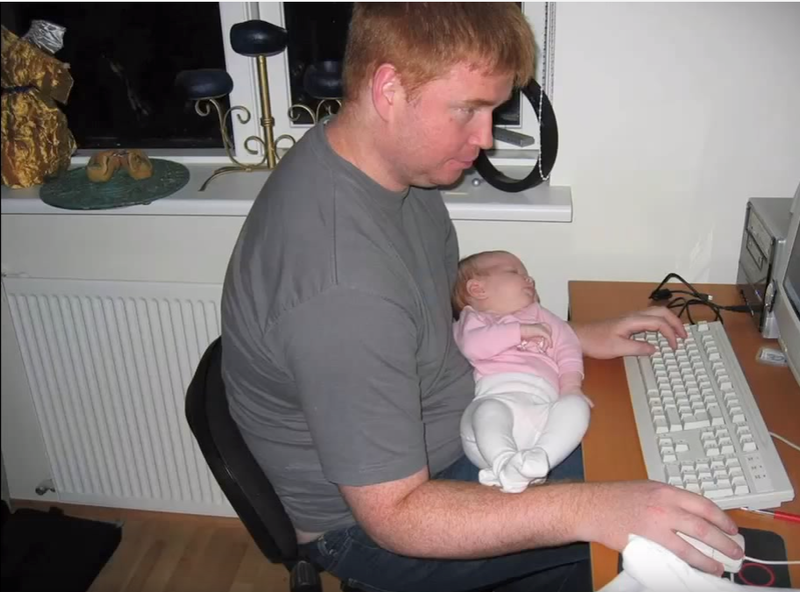 In an oft repeated story, CCP’s CEO Hilmar Veigar Pétursson relates an in game tale of mining, murder and loyalty he undertook while home on maternity leave not long after Eve went live in 2003. And there’s the parable. Sometimes the miracle isn’t delivered from on high. Sometimes the miracle is already there, twisted up in the mundane tyranny of actual code, waiting for some clever human to re-envision that which already is. One single history, single-shard Jesus is enough. And this is as it should be. EVE is a game for humans, making it a very human game. With a voice box larynx and a brain attuned to that organ, we humans are social. Even now, you and I, we’re communicating. And what’s more, we’re communicating via EVE. Well-nigh miraculous when you think about it. And what’s more, we’re communicating via EVE. EVE’s wicked smart Executive Producer Andie Nordgren typically doesn’t seem comfortable on camera. But sometimes, if the day is sweet and the light is right, the lens catchers her at her ease. Andie Nordgren, on the other hand, not being a product of virgin birth, arrives very much a part of our natural world, fully steeped within the opportunities and limitations that origin generates. No wonder she’s at ease. She doesn’t need to perform other-worldly miracles. She needs only shepherd this 13 year old flock along. That’s a human sized project. And this is as it should be. If you want to understand and support a living work of science fiction, you don’t turn to religion, you turn to biology, the science of living organisms. The process is both stunningly adaptive and amazingly stable, much like EVE itself. Super Capitals have handed EVE’s ecosystem-balancing devs no end of conniption fits, but the species thrives and will endure. POS’s have been declared moribund and will soon go extinct, but not until another species develops to fill the niche. EVE, as much as it’s a living work of science fiction, follows the laws of biology, not religion. EVE, as much as it’s a living work of science fiction, follows the laws of biology, not religion. She proceeds at a regal, stately pace as all queens who’ve captured our hearts should. It’s that very stability that enables her long enduring burn. I’ve made in-game agreements that won’t trigger for a year more than once. And mind you, I don’t mean agreements that will last for a year, I mean agreements whose labors won’t really begin for a year (and whose consequences stretch out even further than that). This reveals great confidence that EVE will still be here in a year and that it will function either reasonably similar to how it functions now or CCP will signpost well ahead of time when sweeping changes approach, allowing generous chance to review and update those long term agreements. Free to play’s imminent introduction is genuinely big deal. Still, it’s not a Jesus Feature. Jesus Features justify subscription purchase all by themselves. A free to play account pays no subscription meaning such introduction, by definition, isn’t a Jesus Feature. Pedantic? Not so much. Mechanically speaking, Clone States are open-ended trials assembled into appealing, if limited, package by the clever people at CCP. Little in the game itself changes beyond hopefully enduring fruitful thrive once this latest billing iteration drops on grid. Proceed to CCP’s company website and check out some audacious promise. Prophetic words proclaiming Jesus’ return to EVE? Not exactly. These days CCP talks of the EVE Universe. A set of ecosystems sharing a universe but separate and distinct from each other with no immediate plans to merge them. CCP’s darling little Jesuses toddle around the office as adorable as ever but they won’t be busting into EVE Online’s ecosystem anytime soon. This is good thing. look closely at the walls defining that room. Still, look closely at the walls defining that room. Those are EVE posters you see. Even the director’s chair belongs to EVE. EVE frames everything CCP does including their impetuous Virtual Reality romance. And I hope that romance goes well. VR looks damn exciting. 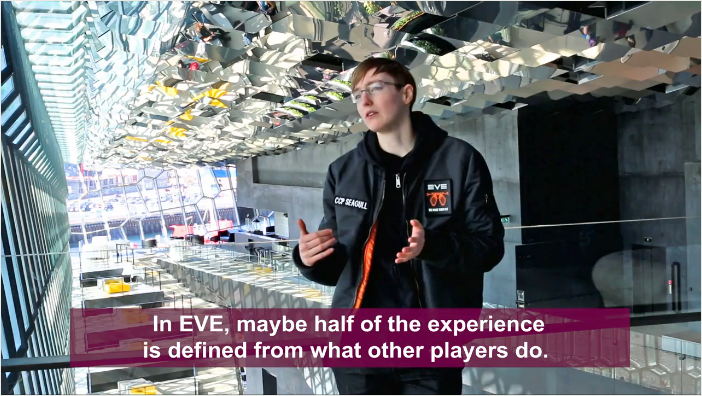 Nonetheless, EVE is CCP’s first love and we’ll remain the apple of her heart for a long time to come. And this too is as it should be.